At Allcare & Allied Health Services LLC, we provide different payment options for the convenience of our clients. These payment options include long-term care insurance, private pay, Medicare, Medicaid, insurance, and worker compensation. Learn more about the various payment options available to our clients. Any optional benefits you choose, such as benefits that increase with inflation. 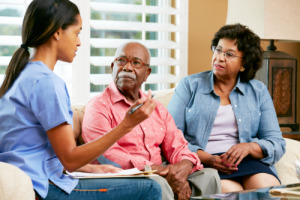 If you are in poor health or already receiving long-term care services, you may not qualify for long-term care insurance as most individual policies require medical underwriting. In some cases, you may be able to buy a limited amount of coverage, or coverage at a higher “non-standard” rate. Some group policies do not require underwriting. For more information, please visit: http://longtermcare.gov/costs-how-to-pay/what-is-long-term-care-insurance/. Medicaid is a joint federal and state program that helps with medical costs for some people with limited income and resources. Medicaid also offers benefits not normally covered by Medicare, like nursing home care and personal care services. Even if your income exceeds Medicaid income levels in your state, you may be eligible under Medicaid spend down rules. Under the “spend down” process, some states allow you to become eligible for Medicaid as “medically needy,” even if you have too much income to qualify. This process allows you to “spend down,” or subtract, your medical expenses from your income to become eligible for Medicaid. To be eligible as “medically needy,” your measurable resources also have to be under the resource amount allowed in your state. Call your state Medicaid program to see if you qualify and learn how to apply. Some people who are eligible for both Medicare and Medicaid are called “dual eligibles.” If you have Medicare and full Medicaid coverage, most of your health care costs are likely covered. You can get your Medicare coverage through Original Medicare or a Medicare Advantage Plan (Part C). If you have Medicare and full Medicaid, you’ll get your Part D prescription drugs through Medicare, and you’ll automatically qualify for Extra Help paying for your Medicare prescription drug coverage (Part D). Medicaid may still cover some drugs and other care that Medicare doesn’t cover. UNLESS all employees are excluded from the provisions of Pennsylvania’s workers’ compensation laws. Casual workers whose employment is casual in character AND not in the regular course of the business of the employer. Persons who work out of their own homes or other premises not under the control or management of the enterprise AND make up, clean, wash, alter, ornament, finish, repair, or adapt articles or materials for sale that are given to them. Agricultural laborers earning under $1200 per person per calendar year AND no one agricultural laborer works 30 days or more per calendar year AND/OR the agricultural labor is provided by the employer’s spouse or child(ren) under the age of 18 who have not sought inclusion under Pennsylvania’s workers’ compensation laws by filing an express written contract of hire with the Department of Labor & Industry. Domestic workers who have not elected with the Department of Labor & Industry to come under the provisions of the Workers’ Compensation Act. Sole proprietor or general partners. Persons granted exemption due to their religious beliefs by the Department of Labor & Industry. Executive officers who have been granted exclusion by the Department of Labor & Industry. Licensed real estate salespersons or associate real estate brokers affiliated with a licensed real estate broker or licensed insurance agents affiliated with a licensed insurance agency, under a written agreement, remunerated on a commission-only basis and qualifying as independent contractors for state tax purposes or for federal tax purposes under the Internal Revenue Code of 1986. NOTE: Unless ALL employees meet one or more of the above exclusions, the employer must insure its workers’ compensation liability, even if the employees are working limited part-time hours or are family members such as a spouse or children. Questions as to how categories would apply to specific workers should be directed to your personal attorney for interpretation. In the event an employer is uninsured at the time an employee suffers a compensable work-related injury, the department will pursue reimbursement from the employer of monies paid from the Uninsured Employers Guaranty Fund in relation to the claim. Reimbursement will include costs, interest, penalties, fees under section 440 of the Worker’s Compensation Act and attorney’s fees. The department will also pursue prosecution against the uninsured employer under section 305 of the Act. In addition, an uninsured employer faces grave civil and criminal risks for failing to maintain continuous workers’ compensation coverage. Not only can the employee sue the employer in tort for work-related injuries or diseases, in which suit the employee may recover amounts in excess of those allowed under workers’ compensation, but the employer and those individuals responsible to act on its behalf may each be criminally charged for each day’s failure to maintain continuous workers’ compensation coverage. Misdemeanor convictions can result in the potential imposition of a $2,500 fine and up to one-year imprisonment for each day the employer is in violation of the requirement to maintain worker’s compensation coverage. Felony convictions can result in the potential imposition of a $15,000 fine and up to seven years imprisonment for each day the employer intentionally violated this requirement. Further, the employer and those individuals responsible to act on its behalf may be required to pay all benefits awarded by a workers’ compensation judge. The Bureau of Workers’ Compensation investigates employer compliance with workers’ compensation laws and may initiate the filing of charges against employers and individuals responsible to act on its behalf if workers’ compensation coverage is not continuously maintained. Further, any individual, including competitors, may seek county district attorney approval to file a private criminal complaint against an employer who fails to maintain worker’s compensation coverage when required to do so. Private Pay is a type of payment where the patient’s own resources pay for the care. A contract is signed between the person responsible for payment and the facility. Individuals (future residents or clients) must pay for care with personal funds until money and assets (minus those excluded by law) are expended.